Change project compliance and JRE to 12 A quick fix Change project compliance and JRE to 12 is provided to quickly change the current project to be compatible with Java 12. 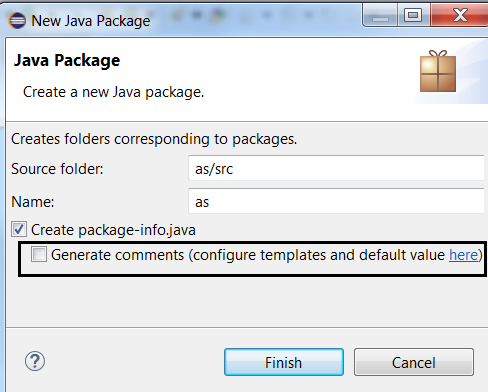 Enable preview features You can enable preview features in Java 12 using Preferences > Java > Compiler > Enable preview features option. You can configure the problem severity of these preview features using the Preview features with severity level. Set Enable preview features A quick fix to Enable preview features option in preferences is provided. 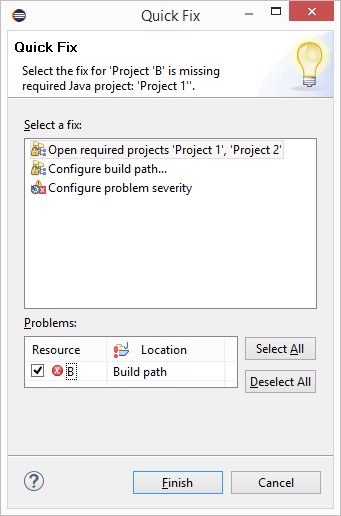 Configure problem severity of preview features A quick fix Configure problem severity is provided to update the problem severity of preview features in Java 12. Add default case to switch statement A quick fix Add 'default' case is provided to add default case to enhanced switch statement in Java 12. Add missing case statements to switch statement A quick fix Add missing case statements is provided for enhanced switch statement in Java 12. 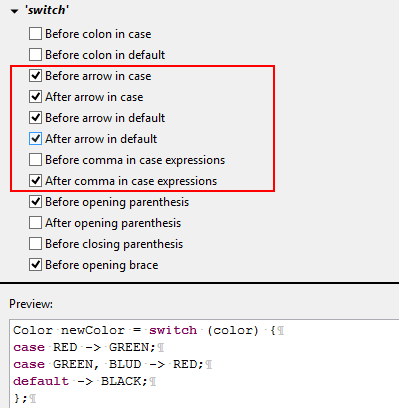 Whitespace in 'switch' As Java 12 introduced some new features into the switch construct, the formatter profile has some new settings for it. Namely, they control spaces around the arrow operator (separately for case and default) and around commas in multi-value case. The settings can be found in the Profile Editor (Preferences > Java > Code Style > Formatter > Edit...) under the White space > Control statements > 'switch' subsection. Show method parameter names on code as code mining decorations In the Java > Editor > Code Mining preference, you can now enable the Show parameter names option. This will show the parameter name in method or constructor calls, for cases where the resolution may not be obvious for a human reader. For example, the code mining will be shown if the argument name in the method call is not an exact match of the parameter name or if the argument name doesn't contain the parameter name as a substring. Additional quick fixes for service provider constructors Appropriate quick fixes are offered when a service defined in a module-info.java file has a service provider implementation whose no-arg constructor is not visible, or is non-existent. 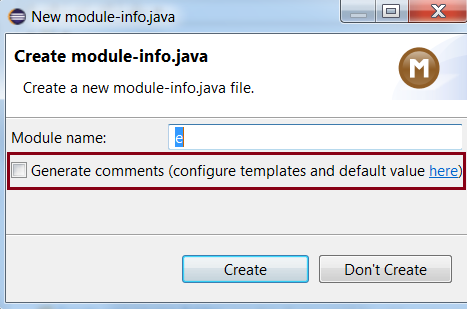 Checkbox to control comment generation in modules and packages An option is now available to control the comment generation while creating module-info.java or package-info.java. 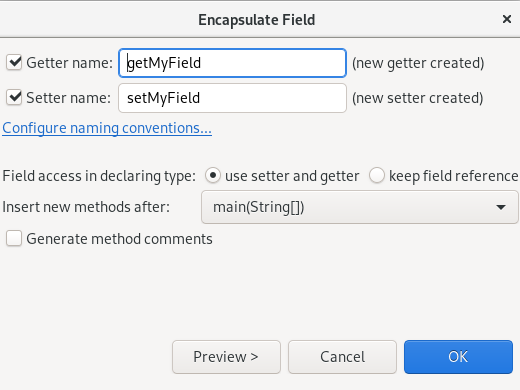 Create getter or setter quick assist The Quick Assist for creating getter or setter methods from fields no longer forces creating both. Quick fix to open all required closed projects A quick fix to open all required closed projects is now available in the Problems view. Support for new Javadoc tags The following javadoc tags are supported and auto-complete now works for these tags.